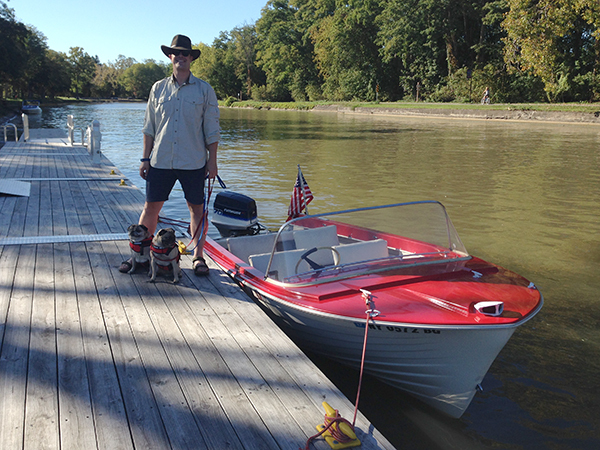 We took the boat out onto the Erie Canal today! 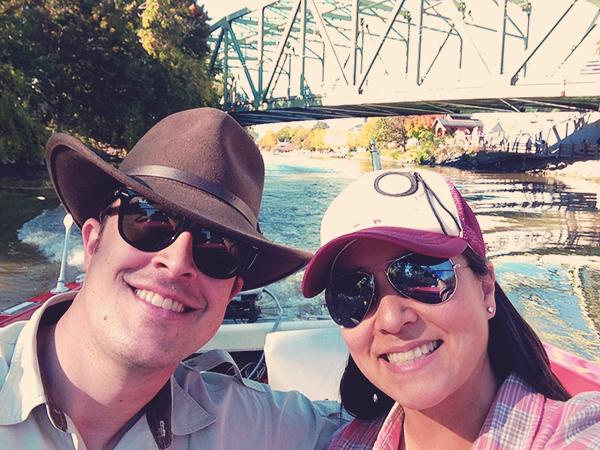 We have walked and biked along the canal paths many times, but only been on the water a couple times - on the Sam Patch and the Colonial Belle. 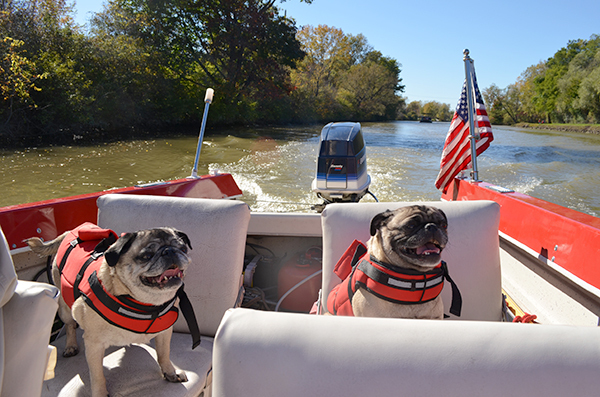 It was very cool to take our own boat out on the canal. 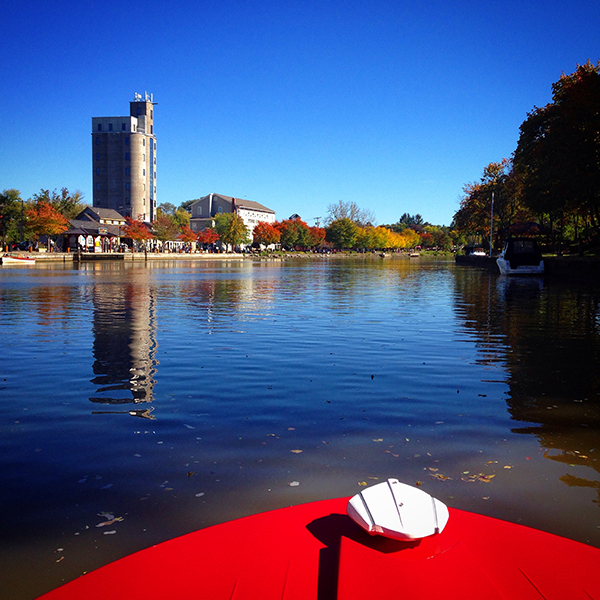 You can't go very fast but that is fine for an autumn afternoon cruise. 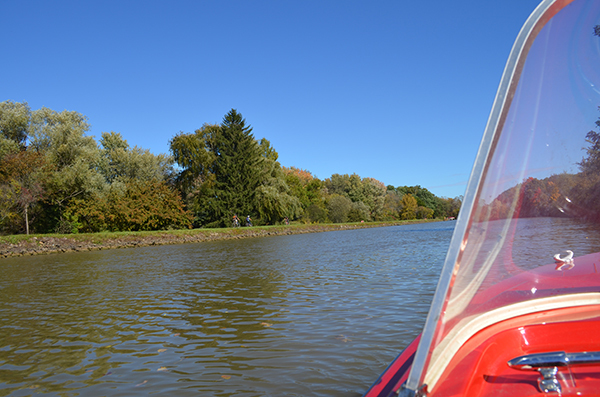 The Erie Canal covers 524 miles and goes from Lake Champlain (above Albany) to beyond West of Buffalo. I think it would be fun to boat from one end to the other. I haven't figured that out logistically but it would be interesting. 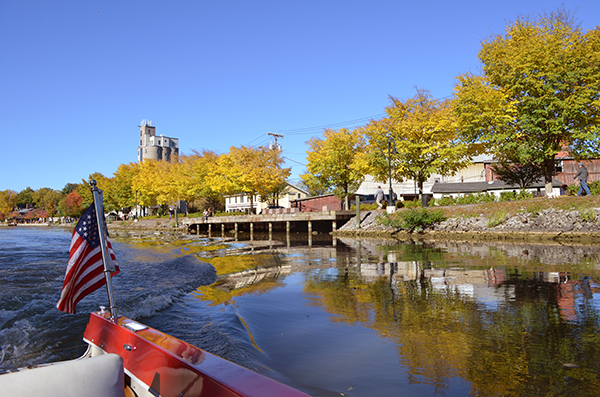 We started at Lock 32 and made our way east to Schoen Place in Pittsford. Our first stop was in Bushnell's Basin at Abbott's for some Pumpkin Custard. Later on we stopped for dinner. 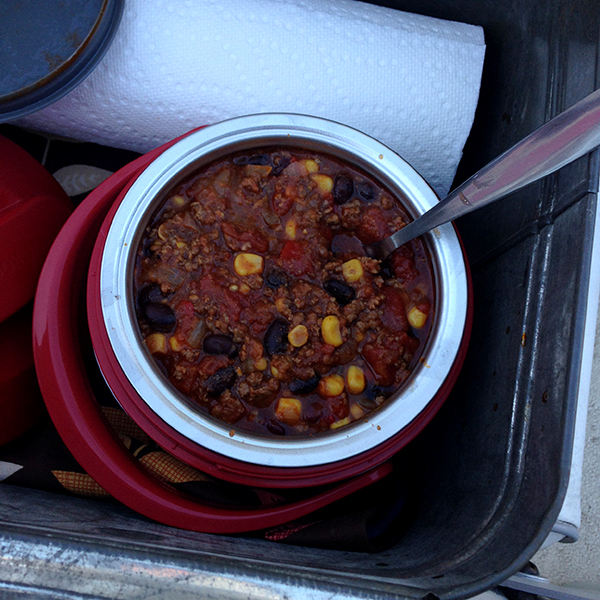 I packed us some homemade chili and bread. We topped the chili with cheese and sour cream and had cider to go with it. 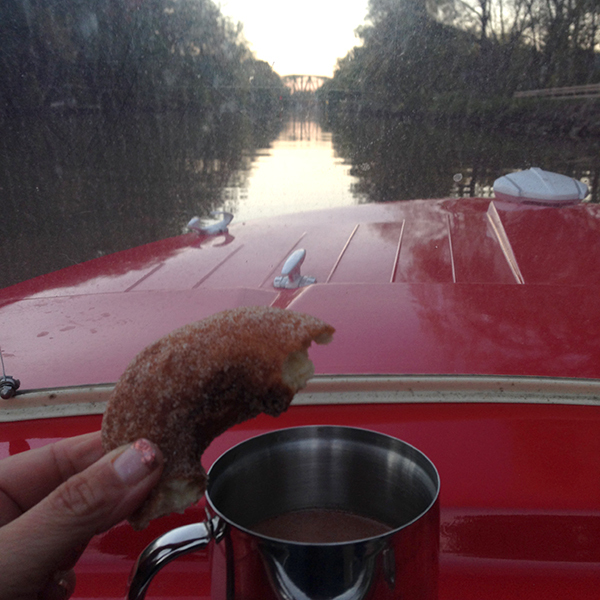 There were donuts and hot chocolate too. 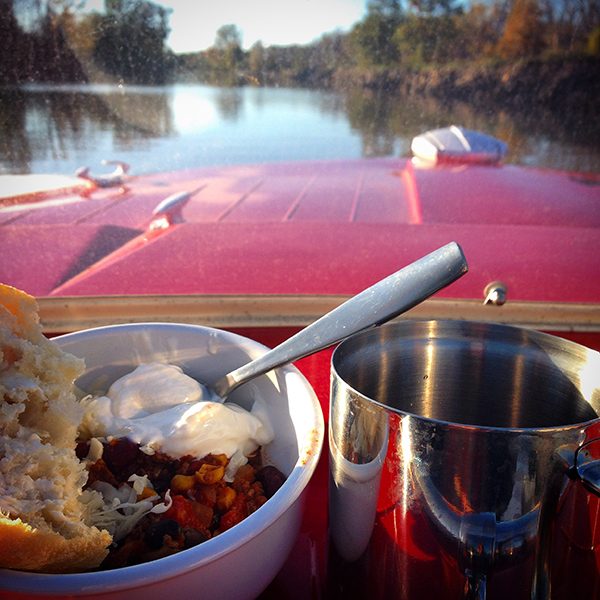 Food is an important part of any boating excursion. 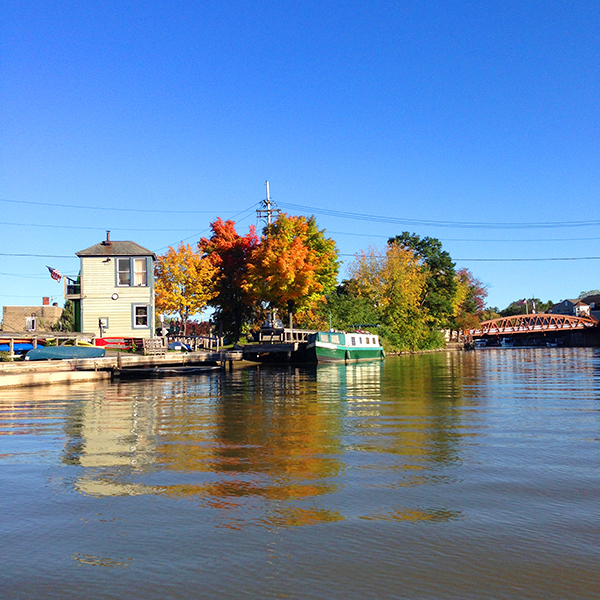 We took the boat all the way to Fairport and a little beyond. The leaves weren't quite totally changed yet but it was still a beautiful day. 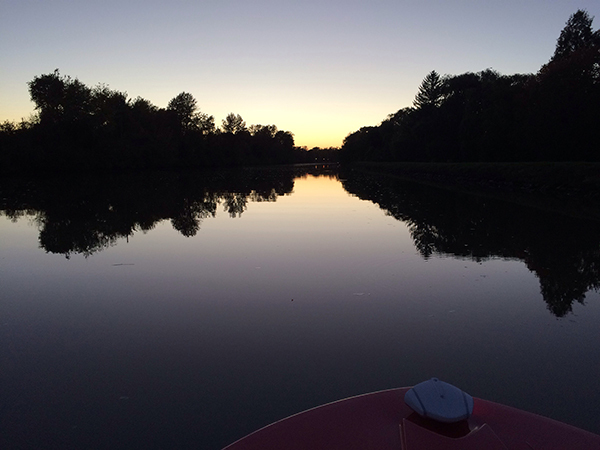 We got back to the boat launch just as the sun was setting. The canal water is so calm, it makes amazing reflections. 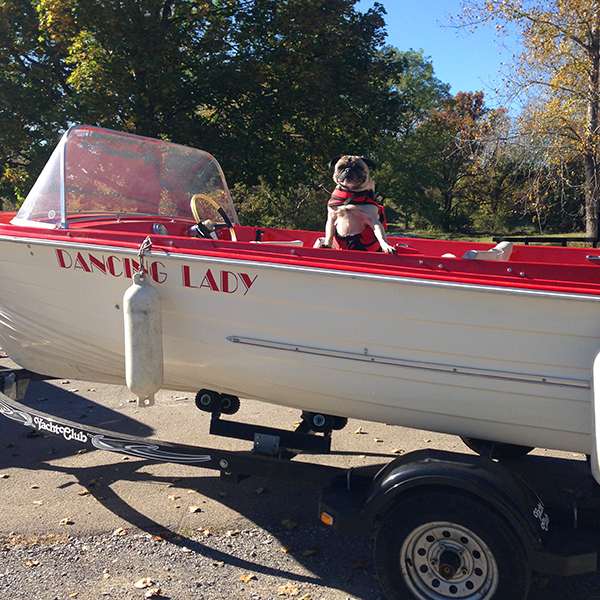 I'm looking forward to taking the boat out on the canal again! We think we might try and tackle going through a lock!